Beto O'Rourke interacts with the crowd in State College during his visit. 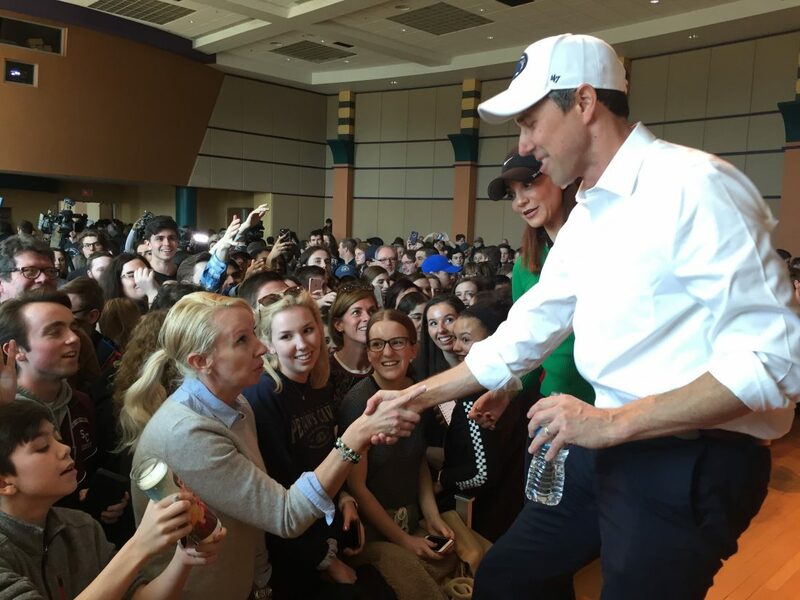 Presidential hopeful Beto O’Rourke visited Penn State University in State College Tuesday morning as part of his nationwide campaign. The Texan politician announced his candidacy Thursday. He is hitting New Hampshire next on his tour. More details about his visit to PSU and his candidacy to follow.